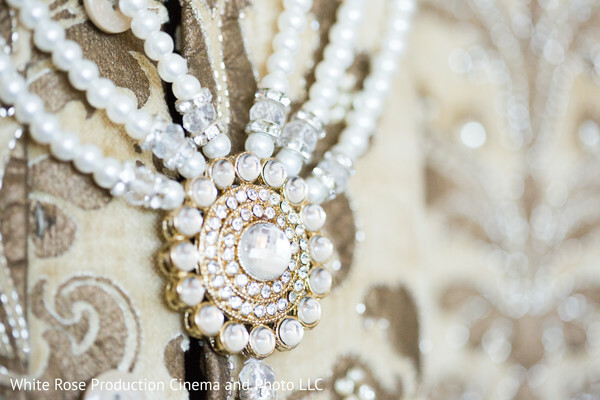 All it took was one glance for us to know that this wedding is going to be one blockbuster visual feast! 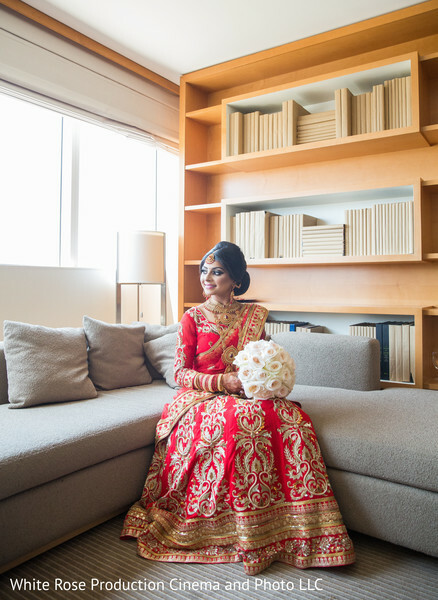 And why not, with Bridal and Event Lounge to plan Sessie and Girish’s big day, and Danielle Evans to design it, it turned out to be a harmonious event that blended a western ceremony with a traditional Hindu one. 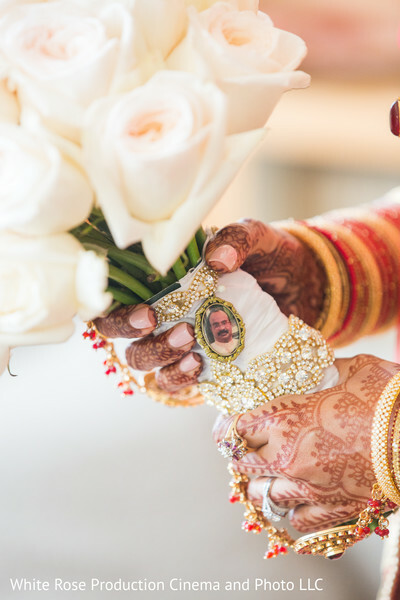 We were in awe of the way White Rose Production captured the bride and groom’s getting-ready shots, because they were so raw, real, and riveting! 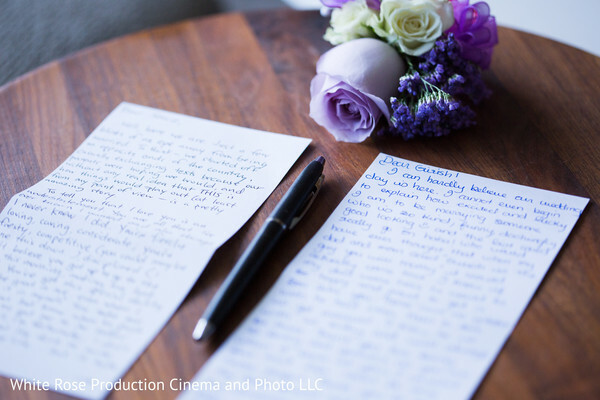 We got to see some details up close, like the tearjerking letter penned by Sessie, and also some fun behind-the-scenes like Girish’s entourage dressing him up and teasing him. 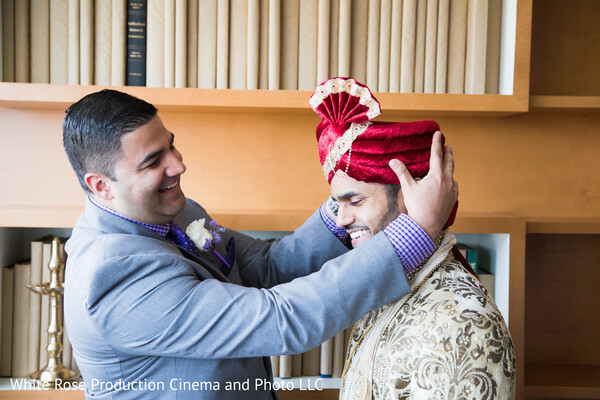 We rarely come across groomsmen that match to perfection and are so suavely dressed: Girish’s squad donned checkered lavender shirts and even added matching floral boutonnieres to their grey suits! 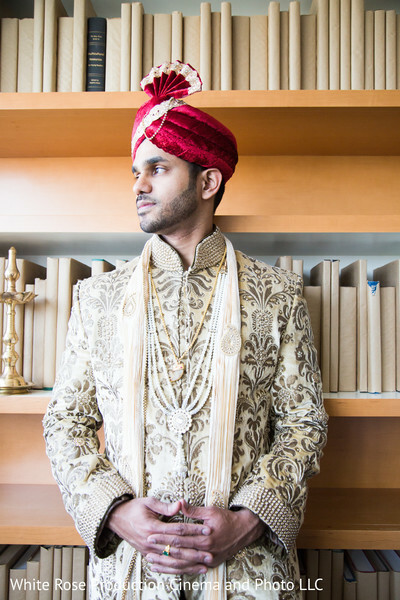 As for Girish, he donned a baroque embroidered cream ornate Sherwani, and paired it with a striking red Safa. 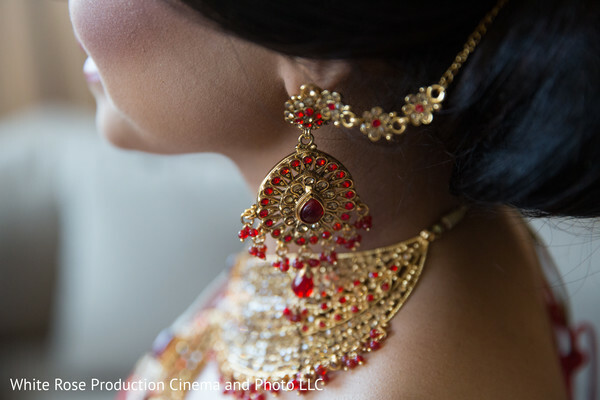 His counterpart Sessie bedazzled in a quintessential red bridal lehenga from FM Concepts, accessorized with an exquisite ruby choker set. 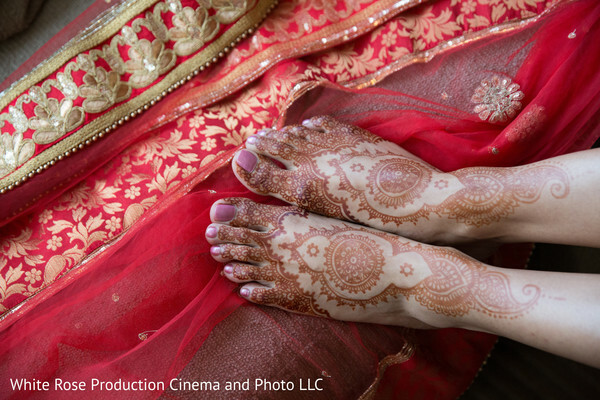 Henna by Dixita did elegant and simple floral Mehndi designs that was further accentuated with Sessie’s gold haathphool, and matching bangles. Our #TeamBride looked perfect in their violet chiffon saris, and all of them wore a statement choker with a maang tikka and earrings. Sessie slipped into her sparkly Jessica Simpson stilettos and was all set to make a grand entrance down the aisle, complete with flower girls and matching bridesmaids. 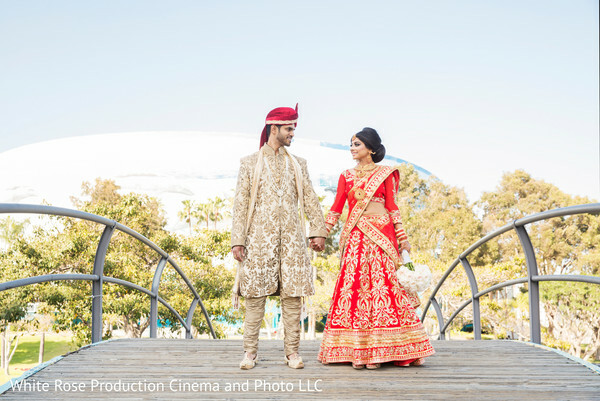 Catch the glam photos from this wedding by heading to the gallery! 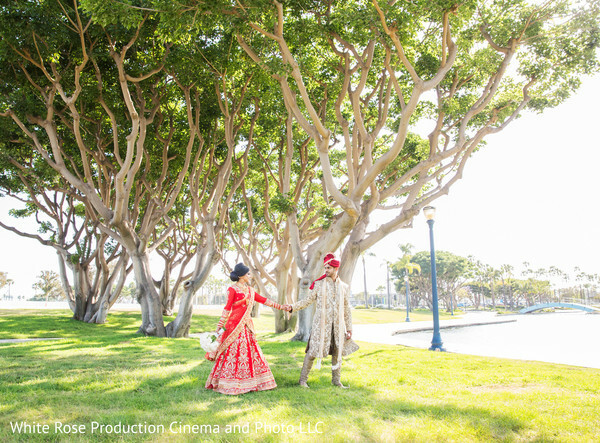 Hyatt Regency Long Beach was the chosen venue for Sessie and Girish’s ceremony, and now that you have a glimpse of what you can expect, be sure to return to the blog for a complete rundown of the ceremony! BEL Event Productions, Bridal and Event Lounge and Manshaa Collection are members of the Platinum Guide. Love what you see? Explore their portfolios.